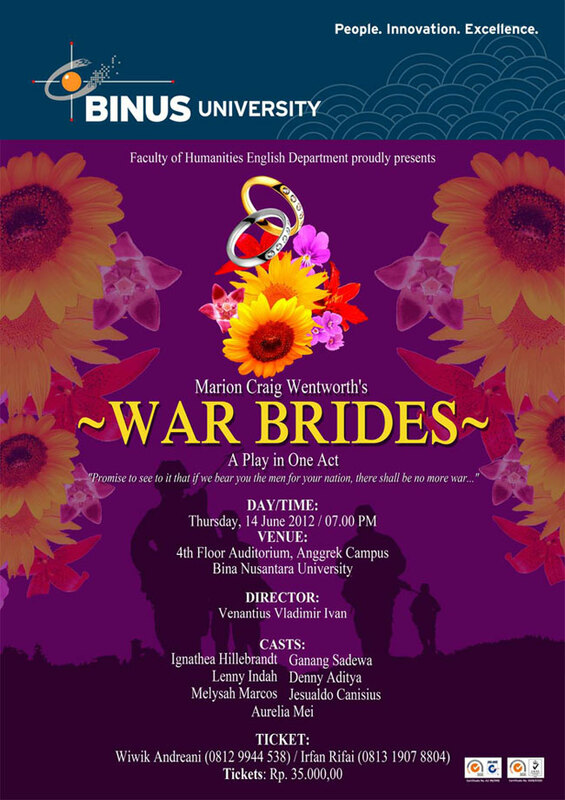 Faculty of Humanities – English Department proudly presents “WAR BRIDES“, a play in one act, by Marion Craig Wentworth. Hedwig, a young and tough woman was forced to let her husband go to war by the German government. As the day passed, the waiting was getting more unbearable, fueled by the role of man on her time which put woman so unequally with man. While her mother-in-law, sisters and friends felt proud to be a “WAR BRIDE”, she struggled to fight for herself , for her gender and woman’s pride and identity. What will the future be for her? Will her voice be truly heard? Will she ever see her husband again?